Family: Her parents died in a car crash she is being raised by Grandparents. 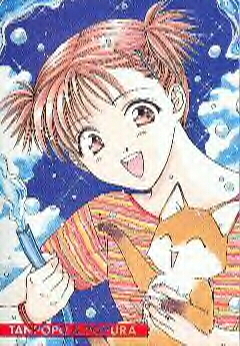 Home: Hokkaido,she lived in Inaka. She stays in Tokyo. Habits: Using the word "kon". Nickname(s): Trowl-kun (only used by Tanpopo), "Iron-faced Kugyou Kouki"
Home/Family: Tokyo, He is the Onzoushi (heir) to the Kugyou family. Apparently Kugyou is a wealthy and important family in Kansai. (Known as the "kansai kugyou-family"). 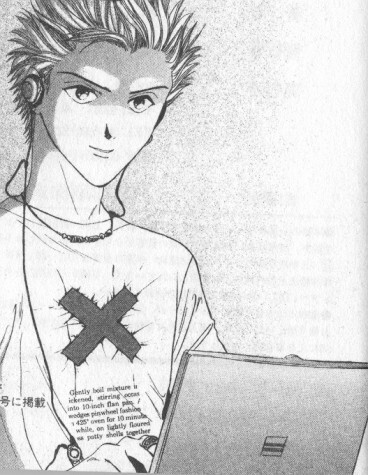 Love Interest: Yamazaki Tanpopo, although he is currently engaged to his brothers ex-fiance, Erika. Habits: Carries a trowl (a gardening utensil) around with him everywhere he goes. Loves plants. Love Interest: wants Kouki for his money and power And she's told him this. Habits: Keeps descriptions and records in his lap top computer of everyone he comes across. Excellent hacker. Features: She's a "ganguro gal." Basically a Japanese girl that wears a very dark makeup base (with the exeception around the eyes, thus resembling a raccoon. "), and a whole lot of makeup as well. Yanahara Erika She was originally Youji's fiancee but when he ran off to become a photographer she somehow defaulted to Kouki. She tries to act sweet but she's got a real dark side. And is trying VERY hard to seperate Kouki and Tanpopo. 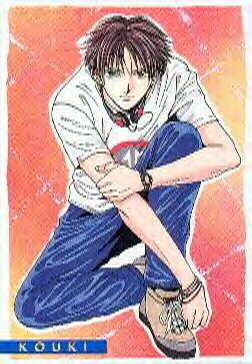 Kugyou Youji As Kouki's older brother he held a lot of responsiblity in the family, but then he decided to run away and become a photographer. So all the responsibility fell on Kouki. He was once engaged to Erika, but he likes Tanpopo. Even though it seems Tanpopo has a few guys interested in her, Youji is the only one that gets close to a relationship. Even almost closer than Kouki. Oy oy what a mess!